Shaken or on the rocks? 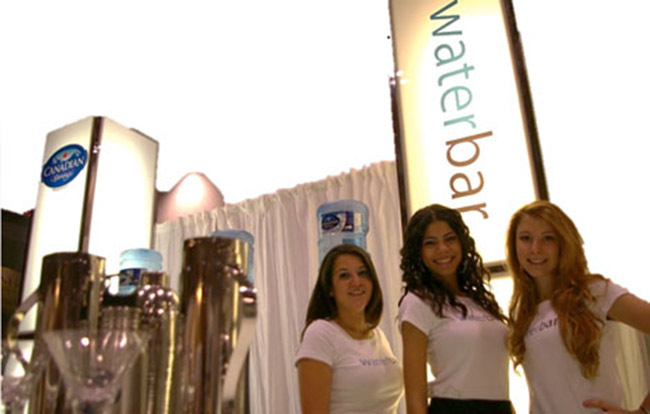 MOUSE reinvented the Canadian Springs water service sales experience with martini style water cups, swanky music and illuminated on-trend waterbar display — standing out from the crowd. Consumers could enter interactive contests via iPad in support of residential and commercial sales leads. Participants were also able to select from sales offers such as the opportunity to purchase the sleek new water coolers on display, and 3-months of complimentary delivery service. We know an average of 46% of customers who purchase the introductory offer continue service, leading towards big profits long-term.